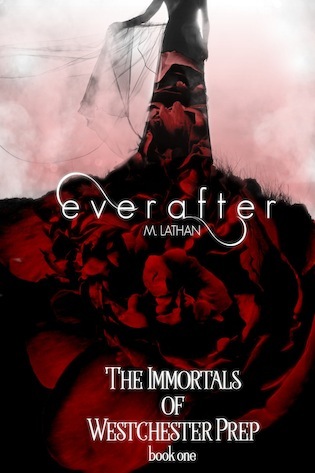 Welcome to M. Lathan, author of the upcoming novel Everafter! 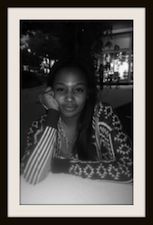 She's here with a little Q & A. A rollercoaster. I get this cool idea and I start writing like crazy. Everything’s great until I stop to read and see how all over the place I am. That’s when I stop to outline. That keeps me in line and helps me with pacing as well. When the draft is done, the real work begins. I have about four complete and total overhauls in me before the story is ready. Yes. I do my best writing when I’m walking, which presents a problem. So I may take my phone on a walk around my neighborhood. When I was in college, I would walk around the creepy part of the library to get my thoughts flowing. For nostalgic reasons, The Baby-sitter’s Club. I lived and breathed those books. I think names are extremely important. I always start with baby name websites, and I look for something that sounds like who they are. And I think about what their parents would’ve named them and why. In addition to all of those deep thoughts, I also explore options for nicknames. I never call anyone in my life by their full name, so a character’s name, in my head, has to shorten nicely. Write. I read that when I first decided I wanted to go for it and write a story that I would actually let someone read. I purchased three how-to books from Barnes & Noble, and each of them basically just told me to write. Of course, I rolled my eyes and asked … how? But the truth is, you just put a pen in your hand or your fingers to the keys and try. Write something awful. Write something beautiful. It doesn’t matter. Just write until you’re used to doing it. Editing. I change my stories a lot. There is a good chance that right now as you read, I’m thinking about this one thing in Chapter 23, paragraph four, and how it should be said like this … which leads to me deleting the whole thing. I’m the worst. Editing brings that monster out of me, and my MacBook Pro sees a lot of tears and nearly collides into walls every day during this time. I’d spent the last three weeks at an upscale ski resort in Lake Placid, just watching my health fade and my time on Earth dwindle to nothing. The view of the constant snow and the towering mountains in the distance usually distracted me from the pain. I needed that view more than ever tonight. Everything hurt, but in my mind, if I didn’t mention it, if I didn’t break, I would beat cancer in my own way. I enjoyed her novel Hidden.